The 11th International Bonsai & Suiseki Meeting - Crespi Cup 2015 ended in Parabiago (Milan) on September 20th. Over the years this event grew presenting works on display each time more and more exceptional and of high level, so as to become the Crespi Cup one of the events dedicated to the bonsai and suiseki most famous and prestigious in the world. If the purpose is to spread in Europe the culture of bonsai and suiseki, also this year this result was reached judging by the excellent number of visitors and the large participation by over 200 exhibitors from all over Italy and several European countries (Switzerland, Austria, Germany, France, Portugal, Spain, England, Belgium), who have exhibited the best pieces of their collections, also covering thousands of kilometres just to reach the exhibition spaces of Crespi Bonsai, set in beautiful Japanese gardens. An exhibition of high quality that offered to visitors of the 2015 edition with exceptional specimens, old or however mature trees, well cared and worked, by the great expressive character, stones that have been able to immerse the public in natural scenery and amaze an expert as Masayuki Nomura and pots by peculiar colours and shapes but of absolute beauty, displayed together with trees or grasses. Thanks to the wide exhibition area it was possible to bring together in one suggestive pavilion the beautiful bonsai of the Enthusiasts’ exhibition, in the first weekend, and Crespi Bonsai and Shohin Cup, the evocative stones of the competition Crespi Suiseki Cup and pots made by enthusiasts of the contest Crespi Pot Cup during the second weekend. The technical and quality level of the exhibited trees was surprisingly high, as even the originality of the pots, which also this year were avant-garde works, displayed together with trees or grasses. Contests that have provided a considerable jackpots, but that this year in addition to vouchers of 5,000 euro for the winner of the exhibition contest Crespi Bonsai Cup, 1,300 euro for the winner of the exhibition contest Crespi Shohin Cup, 1,000 euro for the winner of the exhibition contest Crespi Shohin Cup, 500.00 euro for the winner of the exhibition contest Crespi Pot Cup, and their cups on which was engraved the name of the winner that will remain in the history of this great event, the winner of the Crespi Bonsai Cup and the winner of the Enthusiasts’ exhibition have won a flight ticket to Japan offered by Cathay Pacific. Many super guests present on this occasion: from Japan the master Shinsaku Yamahata who considers the bonsai not a profession but a personal enrichment, with his assistant Jun Imabayashi, and Masayuki Nomura, great expert of suiseki, who gave new ideas for suiseki display; it is instead arrived from California Fred Olsen, ceramist world famous who studied from Tomimoto Kenkichi (Japanese National Treasure), who held a conference and a demonstration on ceramics. Special guest for bonsai was then the master Shinsaku Yamahata, the great artist of the contemporary bonsai, who surprised the public who awaited the first performance in Italy, offering an unique approach to his creative style, always looking for the potentiality of the tree, to bring out the character and turn it into a masterpiece bonsai. Yamahata held several demonstrations and workshops facing processes of dry wood to give naturalness and charm to bonsai in processing and proposing a study on the tree in order to recognize its future and potential. Two were the special demonstrations of master Yamahata, one dedicated to the processing of the Juniperus sabina phoenicea, to which was able to extrapolate the exceptional character hidden, the other to the reshaping of a Taxus baccata to turned to exemplary already of high level to a bonsai worthy of being exposed! To Shinsaku Yamahata, busy with technical demonstrations and workshops, have been joined by the great personalities of the European bonsai: Edoardo Rossi with a conference on the Kazari - the art of bonsai and suiseki display - subject of his next book coming out with Crespi Editori, Igor Carino and Gaetano Settembrini who held demonstrations and courses dedicated to bonsai and grasses on wood and rock, all well attended. It was also present the master Nobuyuki Kajiwara with the students of the Crespi’s school, the University of Bonsai, who gave advices and exchanged views with the many enthusiasts welcomed in the space dedicated to them. held a demonstration on ceramics. the art of bonsai and suiseki display. to grasses on wood and rock. The program of this edition has been particularly intense and especially involving both for enthusiasts and for those who wanted to approach nature, observing the rhythms and changes through a small tree grown in pots. The International Bonsai & Suiseki Meeting is born from these assumptions and aims to approaching people to this world, going through the paths and oriental disciplines, which through the same road. That's why presenting the world of bonsai we embrace aspects of Japanese and Eastern culture, giving visitors the opportunity to discover new forms of art, fully enjoying the time spent in the magnificent spaces and gardens of Crespi Bonsai. Planned activities related to bonsai and more generally to the Japanese and Eastern culture have allowed all visitors to range from didactic sessions to demonstrations, from conferences to the practice of oriental arts to shows offered in the two weekends of the event: the taiko - Japanese drums - to the Japanese folk and contemporary music; from the cooking with wagashi, sushi and tea to sumi-e and shodō moving to the painting and calligraphy world, ranging from courses and workshops, dedicated also to children both of bonsai and origami, and performances of martial arts, among that particularly appreciated were those of Korean sword and kyudo. The meeting with Giampiero Raganelli - film critic - was addressed to Japanese cinema especially dedicated to nature and its elements, and to entertain the little ones was Pino Zema with kamishibai, an ancient form of Japanese story. During the event was also exposed an inedited exhibition of Japanese postmarks, who identified the various departure city, applied to postcards or envelopes between 1881 and 1888, conceived and staged by Lorenzo Sonzini. Luigi Crespi at the awards ceremony which took place Saturday, September 19th, during the gala dinner, at compendium of this eleventh edition of the Crespi Cup, wanted to commemorate the 20th anniversary of this long-lived event. 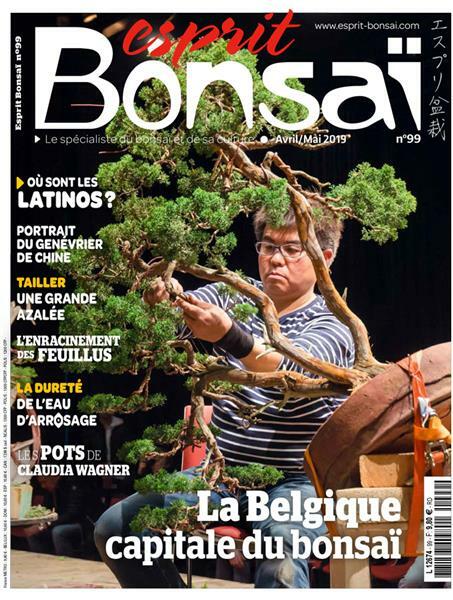 “In these eleven editions we had the chance to see on display exceptional works, to meet new friends and at the same time become one of the events dedicated to bonsai and suiseki best known in the world”. 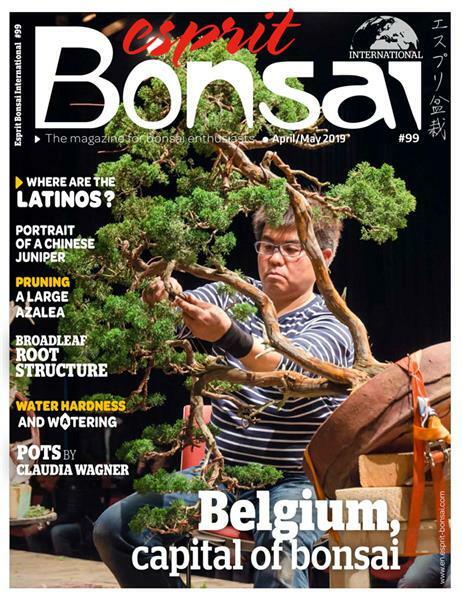 He talked about the evolution of the art of bonsai and amazing achievements in the West, results also gained thanks to this type of exhibitions: “The evolution had in recent years in the bonsai world in the West is a remarkable achievement. And if evolution is synonymous with the future, let me say that I'm really proud to witness this incredible achievement”, he said. Speech ended with a special thank for his family, his whole staff, the excellent guests who have held the attention of many visitors from all over Italy and from many European countries and the many participants to the contests who proposed their best trees, stones and pots for the display.